In many cases a shape cannot be directly used as derived from page content. Instead, it needs to be reduced in size by a small amount, or enlarged. For example, for a white background in label printing on transparent substrate, it could be necessary to print white in all areas of the printed content, but at the same time the white should never become visible itself, e.g. in the case of mis-registration of the colorants during the printing process. Thus it can make sense to reduce the area where white is to be a printed by a millimeter or so. Along the same lines, it can be desirable for varnish to make sure it gets printed in top of all printed page content – and a tiny bit beyond it, to again compensate for possible mis-registration between colorants during the printing process. In this case, the shape would be enlarged by a millimeter or so. The settings for enlarging or reducing a shape's size can be found inside the "Parameter:" dialog. A negative value for "Adjust size" will reduce the shape, whereas a positive value for "Adjust size" will enlarge it. 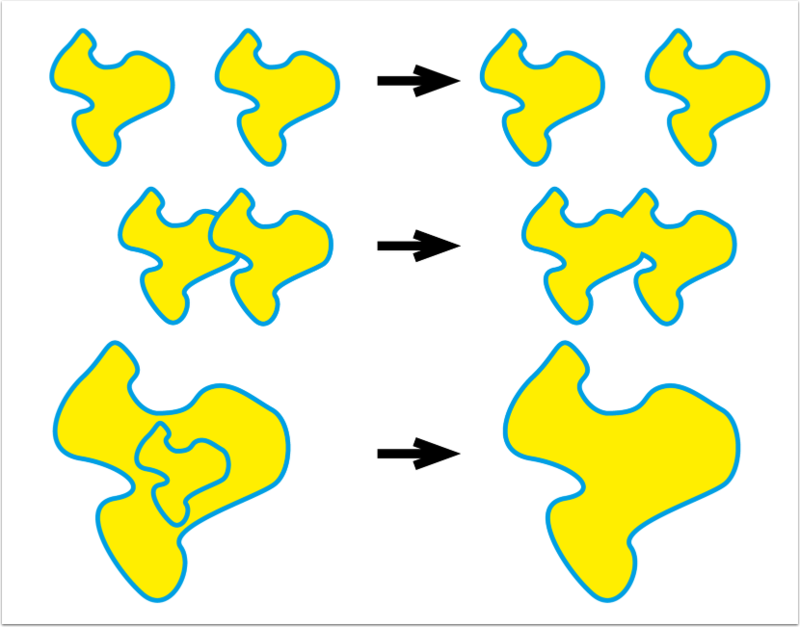 The drawing below illustrates how the new "all-incluse" option impacts the shape that results from tracing page content or deriving a shape from existing vector paths. The main effect is that any shapes that exist inside other shapes are discarded. 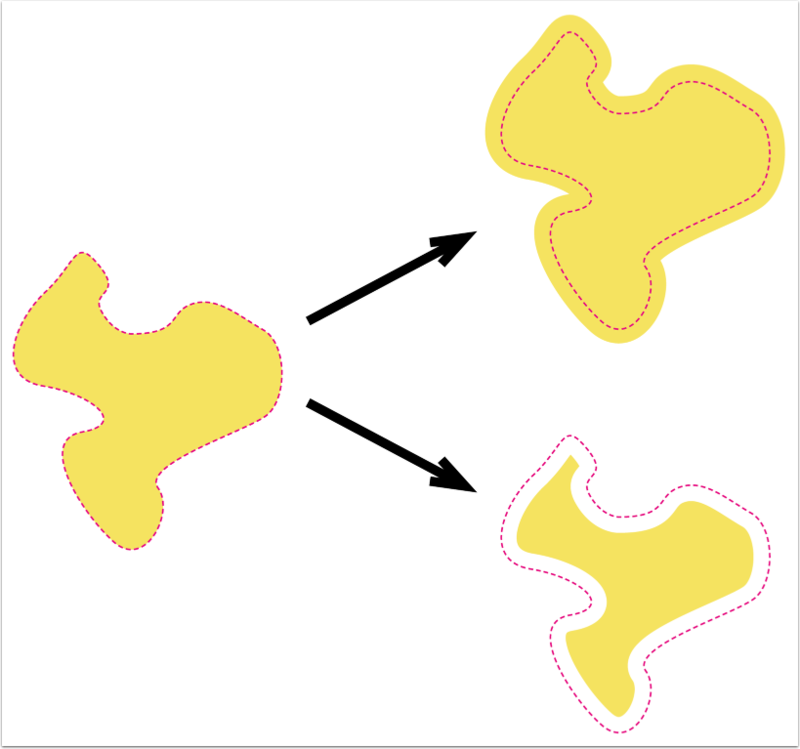 Where shapes overlap, the combined area of such overlapping shapes will be used as the actual shape. For shapes that are neither nested nor overlapping, the option has no effect. 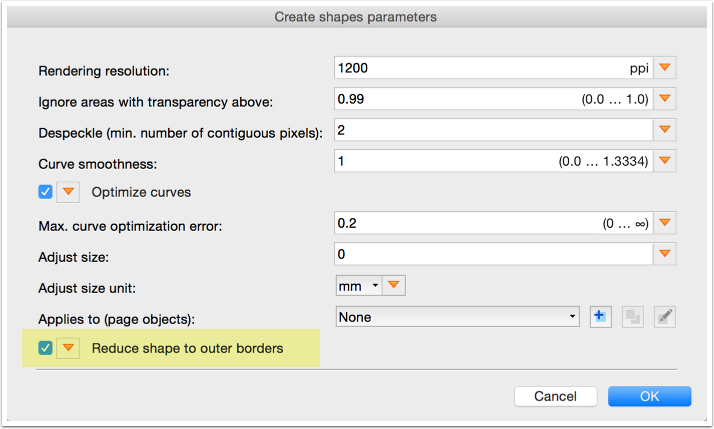 The "Reduce shape to outer borders" can be found inside the "Parameter:" dialog. The "Reduce shape to outer borders" can be found at the bottom of the "Parameter:" dialog.